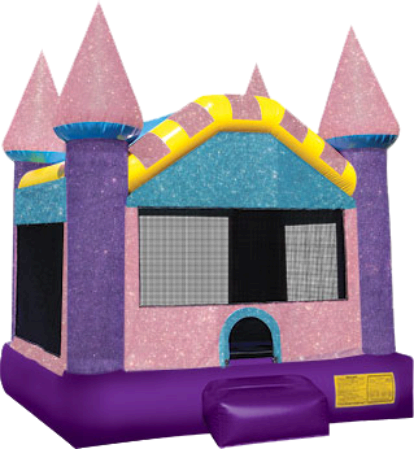 This is an amazing new sparkling kind of bounce house. It's like someone got carried away with the glitter for just the right amount of bling bling! The picture doesn't do it justice. It's bounce house material. It's not rough. The glitter is actually in the vinyl. Call now to order your bling bling today!